Clarins Double Serum pioneering formula which created back in 1985 is constantly reinvented from time to time as new ingredients are discovered to assure a perfect affinity with your skin, speedy absorption and a perfectly sheer result that's suitable for women of all ages, ethnicity and also skin types. 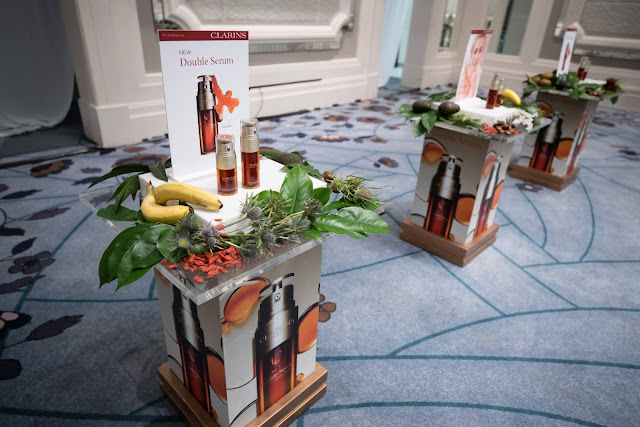 The potent plant extracts; including Turmeric is formulated together to optimize the performance of the skin's 5 vital functions such as regeneration, oxygenation, nutrition, hydration and protection in order to achieve a more beautiful and youthful skin. 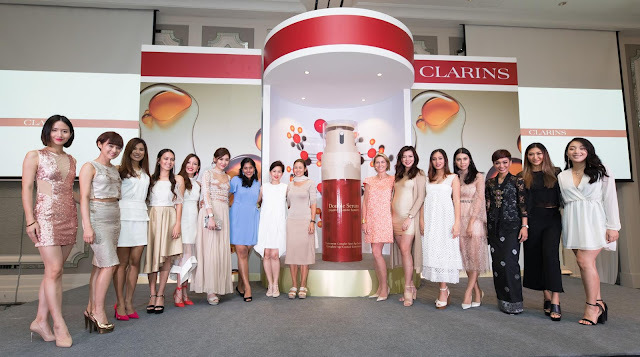 According to Clarins Laboratories's research, every cells have their own language to communicate and stimulate the 5 vital functions. 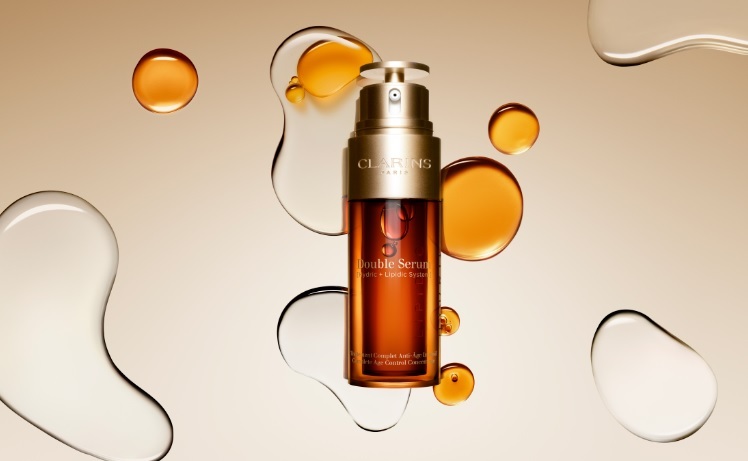 The cells speak to express and capture messages emitted by other cells or environment and slight dysfunction may disrupt the skin's balance and exacerbate the ageing process. Meanwhile cells listen through lipid microdomains which is highly concentrated with cellular receptors to hear messages from their environment well. It can be found in different types of cells including keratinocytes and fibroblasts. The number of lipid microdomains however decrease with age, under the effect of UV rays and oxidative stress. 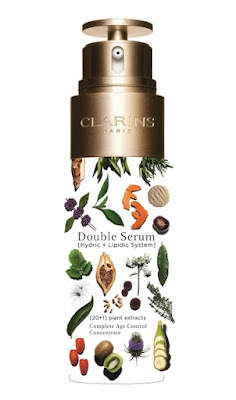 That's why the new Clarins Double Serum is elevated with Turmeric, a high performance plant extract that have a specific action on skin's vital functions and concentrated with turmerone, a bio-inspired vegetal discovery. It targets the cell's lipid microdomains to preserve the cells listening ability and enhance good cellular communication. That's not all, it's also infused with 20 other ingredients such as organic green banana extract, myrothamnus extract, avocado unsaponifiables, red jania, teasel extract, organic goji berry extract, beautyberry extract, horse chestnut extract, organic kiwi extract, orabic mary thisle oil, organic leaf of life extract, organic quinoa extract, organic marsh sapphire extract, cocoa extract, mango extract, huang qi extract, ginger lily extract, organic edelweiss extract, orthosiphon extract and last but not least is the organic oat sugars. It beautifully blends together to not only protects against harmful effect of daily stress, it preserves the epidermis renewal potential, improve cellular oxygenation, stimulates ATP production too. Besides that, it reinforce the lipidic cement and has a nourishing action on the skin's surface, reactivates skin's own hydrating ability, protect cells against damages caused by free radical, reinforce skin barrier function and antioxidant defenses while refines the skin's texture by regulating sebum production, reducing pore size and give skin tightening effect. 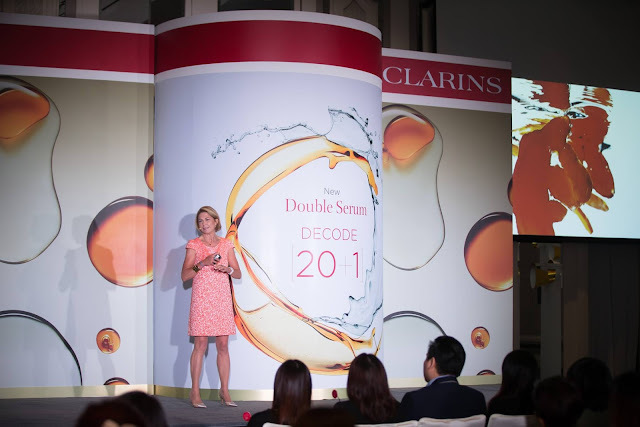 Another thing that shouldn't go unnoticed about Clarins Double Serum is how the formula uniquely soluble in either water or oil without the risk of being incompatible with emulsifiers. Similar to the ratio of skin's hydrolipidic film, 2/3 of the formula contains water-based ingredients and the other 1/3 is oil based to make it easily absorbed into the skin. 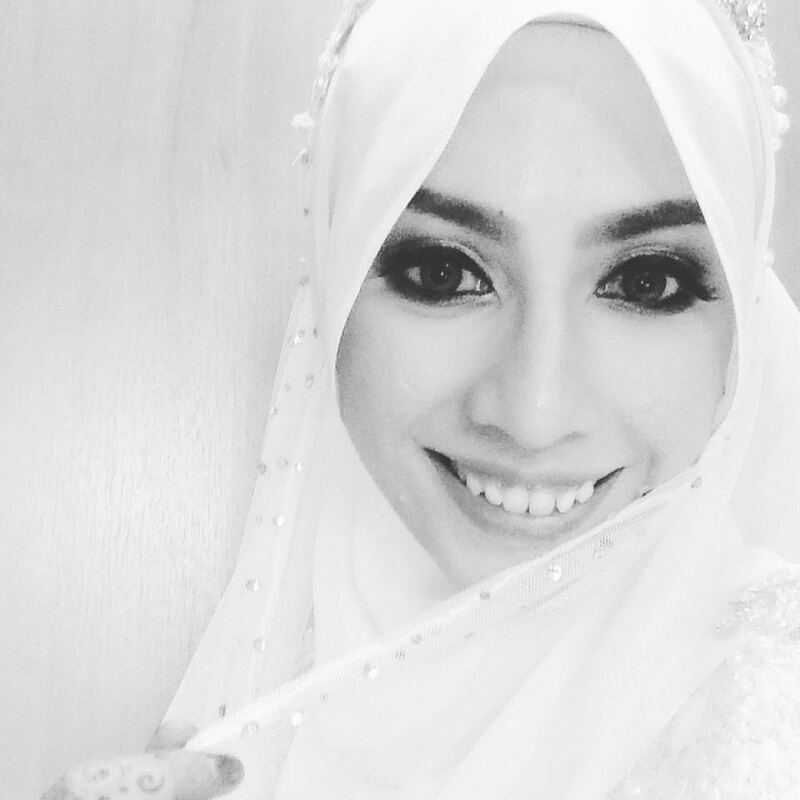 It's also comes with the made to measure application through the new adjustable push button to make it easier for you to customize the amount of the product depending on your skin condition and climate.